Students had been learning about review writing. 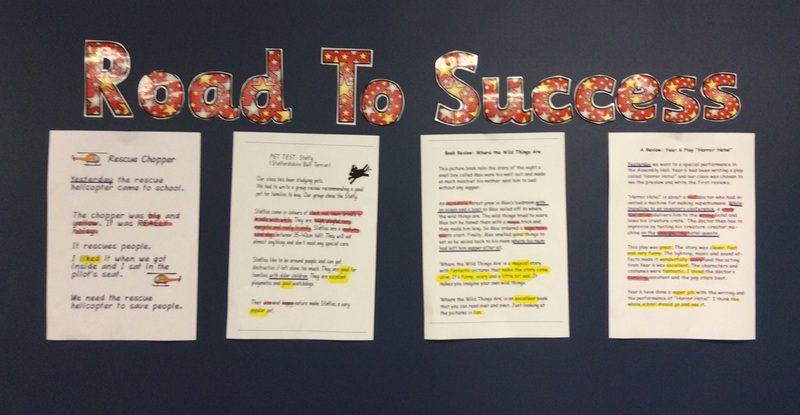 The below exemplars show different levels of work. Each example has the evaluative language highlighted in yellow, descriptive language highlighted in red, conjunctions circled, and the circumstances underlined. Students developed their understanding of these features. 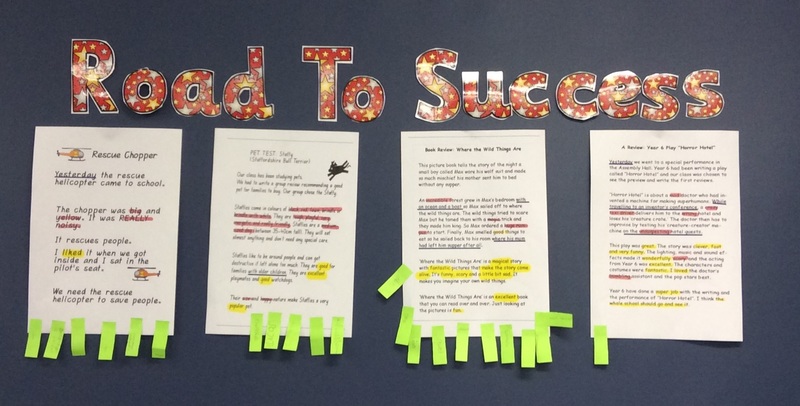 When students produced their first text, they engaged in self-assessment through placing a post-it on the example which reflected the level of their own writing. The next time students wrote a review, they again reflected on the quality of their work and put a different coloured post-it to show their improvement.